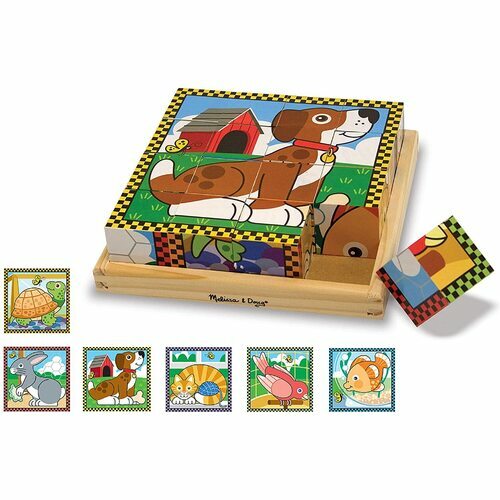 Six puzzles in one! There are sixteen solid wooden cubes in this unique puzzle. One part of a colourful pet is pictured on each side. 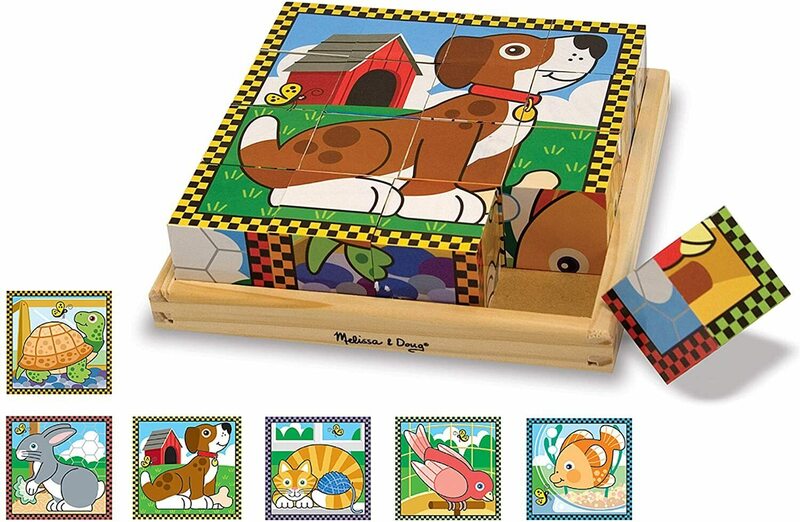 Rotate the cubes on the wooden tray, to complete the six different animal pals! The border design provides a helpful hint. A great value! Box size: 20.5 x 5.5 x 20.5cm.